It’s resolution time again. Instead of dreaming up resolutions that will make you want to pull your hair out, we thought a golf resolutions would be more fun. Click to enlarge for a better reading experience. We asked our team to share theirs with you for inspiration. 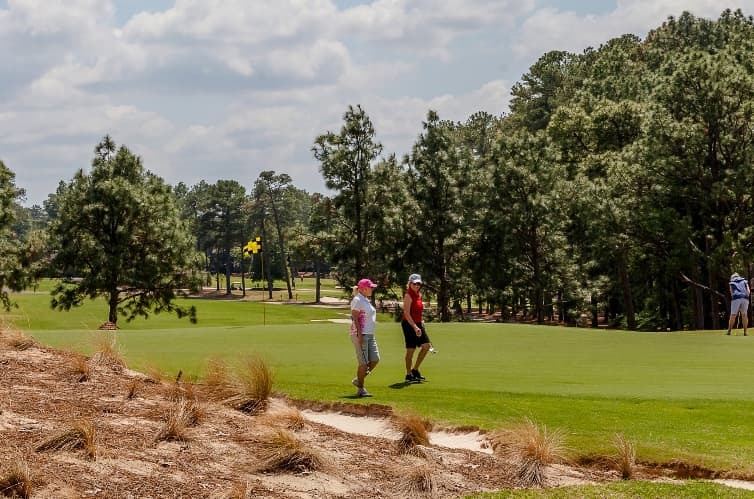 To the right, you’ll see Rob Pilewski, Pinehurst Country Club’s Head Golf Professional, has a number of goals for 2016. Let us know your golf resolutions in the comment section below! Add 10 to 15 yards on my drive. Master my unconventional golf swing. I step into it like a baseball slugger, reroute the swing three times throughout. There are many different ways to get the job done. I wouldn’t teach it this way, but I can master my own. As my children (ages 3 and 7) continue to enjoy the game and ask to go to the golf course, my hope is to take them as much as possible. In turn, I hope their excitement for the game inspires me to get better and to compete at a higher level in tournaments. Play more golf. It makes no difference the number of holes I get to play at one time, I just want to get out and play. While trying to balance family and working at a golf course, it is easy for me to forget how much I enjoy playing and one of the primary reasons I wanted to become a golf professional. Instead of going 1-2 weeks without playing, it would be great to get out and play 1-2 times a week. Practice better course management and forget about the little mistakes that happen on the golf course. I will do this by focusing on one shot and one hole at a time. Work harder on my putting and short game. I also plan to play in more tournaments in 2016. My resolution is to not only get better as a player but as an instructor as well. I hope to play and practice more to help myself get better, and to teach more often so that I can improve my coaching skills. Walk and carry more rounds in 2016. I also resolve to hit short game shots from difficult lies closer to hole more often in 2016. Improve the driving range experience for our members and guests, so they remember Maniac Hill as a world class practice facility. It is the original after all. Practice like you play, making it a point to go through my pre-shot routine on each shot while practicing, and to finish all of Kelly Mitchum’s short game cards.